New York: Harper & Brothers, 1951. First American Edition. Hardcover. Near Fine/No Jacket. 1st Printing Xiii,199 Pp. Blue Cloth, Gilt. First American Edition, "First Edition" Stated On Copyright Page. 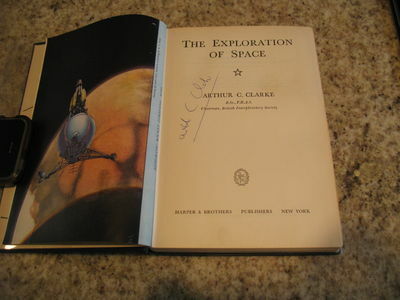 Signed By Clarke On The Title Page. Near Fine, Very Clean And Bright, Gilt Brilliant, Slight Rubbing At Corners. Very Faint Dampstain 1/2" Deep At Foredges Of Pastedowns And Free Endpapers, And 1/4" Deep At Top Half Of Foredge Of Blank Side Of Frontispiece. No Dust Jacket.